Scala wins Gold and Silver at the Apex Awards for innovative retail solutions. Las Vegas, February 28, 2013 – Scala, the leading provider of end-to-end software solutions for digital signage, has won one gold and one silver award for innovative digital signage installations at this year’s Apex Awards, held this week during the Digital Signage Expo in Las Vegas. In the category “Public Spaces”, Scala won gold for the installation at the Westfield Stratford City shopping mall. The installation of more than 350 screens was carried out by Scala partner Esprit Digital. 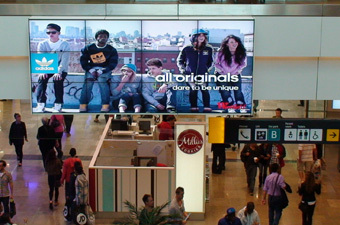 All Westfield Stratford City screens are used to display in-house interactive marketing messages and centre and store information, as well as promotions of events, exhibitions, dining, and store and centre offers. For the Olympics, Scala partner FTP Concepts implemented a live Twitter solution which was expected to have processed and posted 50,000 tweets on the centre’s screens during the Summer Olympics. The system included the Scala Live Campaign Twitter Moderator which enabled Westfield to ensure in real time that there was no objectionable content, removing the need for manual review. This impressive installation includes twelve double-sided indoor and outdoor wafers, four 55-inch digital posters, ten video walls of 12 screens located above each of the main concourses, a 5×5 screen array in the Vue Cinema foyer, and two 27-screen video walls outside Marks & Spencer. The focal point of this massive installation is the 5-ton, double-sided 102-screen video wall outside the John Lewis store. 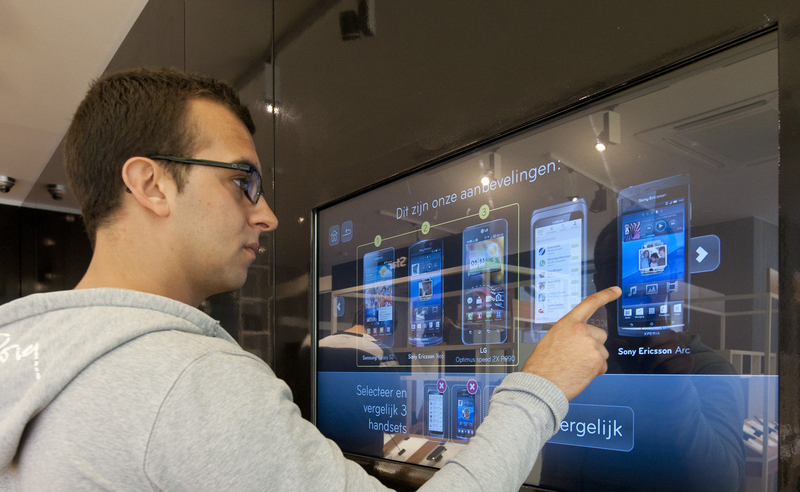 The Telenet Mobile Concept Store installation deployed by Scala-partner DOBIT was recognized with an award in the category “Interactive Self-service”. This mobile phone store installation combines touch screens and directional speakers with Scala’s digital signage solutions in order to offer customers a unique, interactive shopping experience. The project was rewarded silver at the Apex Awards. Australian owned Westfield Group subsidiary Westfield Shopping Towns operates one of the world’s largest shopping centre portfolios. It has interests in over 120 shopping centres across Australia, the US, the UK, New Zealand, and Brazil, accounting for over 25,000 retail outlets. Westfield Stratford City is a shopping centre in Stratford, London and owned by the Westfield Group. It is adjacent to the London Olympic Park and the third largest shopping centre in the United Kingdom in terms of retail space. Esprit Digital has designed, manufactured, and installed many of the world’s leading digital media networks. Their clients include all of the major global outdoor advertising contractors, JCDecaux, Clear Channel, Eye, CBS, and key infrastructure owners like London Underground, BAA, Network Rail, Westfield, and Shell. The company has over 30 years of experience in building display solutions for the harshest internal and external environments. Built to last, these solutions work reliably 24/7 for a minimum of 5 years. High-performance components, expert thermal management, and precision metalwork have been at the heart of their success. Esprit integrates the latest technologies in robust and highly stylised designs that have kept them ahead of the field. For more information please visit: http://www.espritdigital.com/. DOBIT specializes in technological communication and applications, offering customers solutions for effective digital communication. DOBIT was among the first in the Benelux countries to recognize the possibilities of touchscreens and in 1990 became the exclusive distributor of Elo Touchsystems for Belgium and Luxembourg, now also servicing the Netherlands. Their work is based on expertise and experience in communication, touch technology, directional sound, and custom-made electronics. The annual DSE Apex Awards honor innovation as demonstrated in the deployment of technology in the global Digital Out-of-Home industry. • Challenge – The size, scope, or unique requirements of the deployment and problems that had to be solved or overcome to ensure successful implementation. • Solution – The degree to which the solution was “cutting edge” (new, unique, or innovative). • Result – The quantitative extent to which the digital signage or interactive technology deployment benefitted the viewer and achieved the installation’s goals.